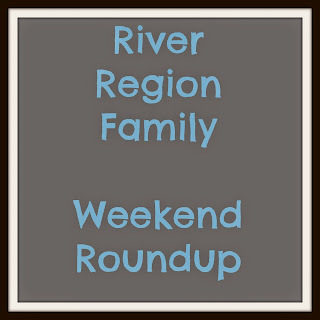 Here are a few events going on in the river region this weekend and early next week. I have marked with a * events that are a River Region Family Favorite Pick. MMFA and ASF in collaboration will present a day for families to view the First Folio with offerings on the grounds of the theater including performances, creative children’s activities, artisan demonstrations, fight presentations, talks on Shakespeare, and more. Several arts activities (1 to 2 P.M. and 3 to 4 P.M.) will also be offered at the MMFA. The day will begin at noon with a special Theater in the Mind Lecture on ASF’s Festival Stage in anticipation of a 2 P.M. performance of Gravedigger’s Tale. The First Folio will be on view at the Museum until 5 with related drop-in arts activities offered at the Museum from 1 – 2 and 3 – 4 PM. At these times young visitors will be invited to create their own paper Hamlet characters with costumes. Throughout the day, a variety of the entertainments listed above will be ongoing at ASF. More info at the ASF FB page here.